In a veritable forest of folk-leaning Vermont bands and artists, White River Junction/Hartford sextet Stuart Ross and the Temp Agency could easily get lost in the shadows. But the band wisely tempers its forlorn, backwoods ballads with healthy injections of bubbly jazz and gritty blues. 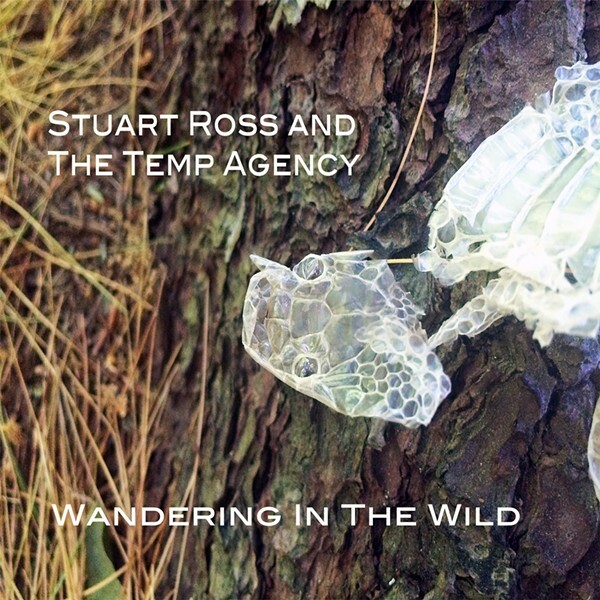 Written by Stuart Ross Johnson, Wandering in the Wild chronicles "a meandering journey through personal wilderness," according to Johnson's website. (We could assume as much from the album's title.) Though the search for self-discovery is hardly a new concept for songwriters, the album's pleasing, easily digestible ditties feel mostly fresh and inspired. The album's greatest strength is its arrangements, especially on the tracks that feature the band's full instrumentation. The best example is "Spiders," which tiptoes into near-vaudevillian territory. In a frisky minor key, muted trumpets wiggle and writhe against an elastic bed of swollen strings. Johnson cracks open his noggin, spilling out a nightmarish tableau of yearning, lovesick misery. He sings, "These spiders they crawl / In my head / Since you've been gone." The string section is at its loveliest on "Brick and Mortar." Johnson's sweet tenor rises up in sorrowful peaks over trembling violin as he sings, "I'll find you / My love / Through the smoke and the ash." At the risk of sounding unbearably cheesy, it might make for a powerful wedding song. "Rattlesnakes" is a hearty blues number in 6/8 time. A yowling lead guitar jangles over a chunky, sludgy riff. Johnson's vocals are processed and filtered, sounding a bit more ragged and strained than elsewhere on the record, which matches the song's darker tone. One track stands out as, shall we say, skippable. Yes, the album is about "a meandering journey," but "New England Roads" is far too literal. Johnson's description of an aimless trek through rural Vermont is uncomfortably on the nose, and his cadence is too waggish to land the emotional resonance for which it strives. The album's charming closer, "We Could Chase Stars," is simple and darling. Old-timey, muted trumpet returns to join a lone ukulele as Johnson delicately details remembrances of young love: "We lay on a quilt your mom made / Fresh dew kisses your face;" "Your finger in my palm / Tracing lines / Wrinkles and poems." Wandering mostly succeeds with its soul-searching expedition. Its melodies linger, and listeners will likely discover new details in its intricate arrangements with every pass. Wandering in the Wild is available at stuartrossjohnson.com. Stuart Ross and the Temp Agency play on Friday, January 27, at the Skinny Pancake in Hanover, N.H.